There are two main things that make bloggers happy: engaged readers AND revenue from their blog. But with the growing popularity of content marketing, there’s been a huge surge of content from various industries lately. You may find it more challenging to gain new audiences for your works as you need to compete with new players in the field. Thus, your top blog posts may not be receiving as much traffic as they used to. Not only can this feel frustrating, but it may also hamper your earnings as a blogger. But there’s a surefire way to remedy this situation: supercharge your blog posts. You’ve heard about writing comprehensive content and integrating SEO to attract traffic. But aside from these crucial components, there are other things you can do to make each post drip with exceptional quality. One of the reasons why readers often pick competitor blogs over yours is because you’re missing one or two pieces of information. Filling in gaps in your content will help you stand out from your rivals, become an authority in your industry, AND leave target audiences needing nothing more. Although it’s been said time and again, some bloggers still forget to use high-quality HD images that are optimized for maximum performance. Optimizing images mean paying attention to details such as the image filename, alternative text, description, and size. If your photos are optimized, your blog posts would be easier to crawl for search engine bots. Hence, more organic traffic. Optimized images also load faster on digital devices, making readers happy. As much as possible, use your photos to avoid problems with copyright and to provide a personalized “feel” to your works. Remember: posts with images get 94 percent more views. So get snapping! 2. Add an article overview. Overviews do two beautiful things: one; they notify readers of what to expect in your blog post (we just used one on for this article! ); second, you can link them to exact parts of your work to help readers jump to specific sections they like. This eliminates the problem of scanning through an entire article and becoming frustrated because it didn’t contain the information you were expecting. Linking, on the other hand, is a great way to provide convenience to people who don’t have enough time to read your blog post. 3. Include a video introduction or summary. There’s no doubt over the popularity of videos when it comes to content. In fact, according to Cisco, 69 percent of consumer Internet traffic by 2017 will be due to videos. If you’re not ready for this revolution, though, you can still take advantage of this trend by including a short video introduction or summary in your blog posts. Video introductions are created for branding purposes. They are quick productions that simply feature the business name, logo, the owner or founder (optional), and the company slogan. This is great if you want to make a good first impression among new audiences. Video intros normally don’t exceed one minute in length. Video summaries, on the other hand, are like article previews but in another form. Unlike article overviews, video summaries can sum up your entire work in just several minutes. This strategy is best utilized for long-form content, as well as to convince viewers to take action. According to the Podcast Consumer Report by Edison Research, people are becoming more and more aware of podcasting. In 2015, 35 percent of respondents said they listen to a podcast, with an average of six podcasts listened to in a week. Creating your own podcast has two main benefits, aside from supercharging your already awesome blog post: one, it’s one of the easiest ways to repurpose your most popular content to reach more audiences; second, it’s a good way of earning a backlink from iTunes or SoundCloud. Remember to get affordable yet fine quality equipment before recording a podcast. This ensures that you won’t be compromising on the value of the content you give your blog readers. 5. Offer FREE printable/downloadable goodies specific to your blog post topic. Who can resist something that’s FREE? Whether it’s a downloadable PDF copy of your blog post OR a printable checklist of your best blogging strategies, your readers would love to get their hands on these goodies. Offering FREE stuff would also help turn new audiences into loyal fans. But don’t just generate some generic stuff that you offer on every web page. Make it distinct to the topic you’re covering for that blog post. 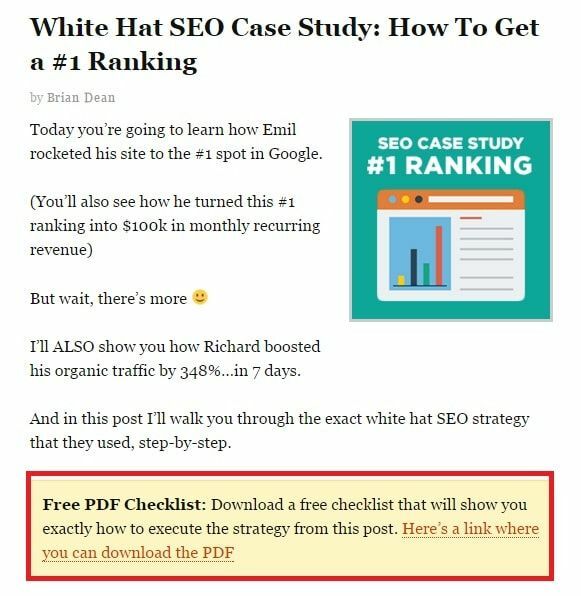 Entrepreneur and Digital Marketer Brian Dean loves using this strategy on his blog posts. This, in turn, has helped him garner plenty of avid readers that frequently engage with his works. 6. Don’t forget powerful WP plug-ins. Text content will always be important in content marketing and blogging – but in today’s cutthroat digital landscape, it’s NOT enough. If bloggers want to level-up their game, they need to make sure their blog posts are cleverly integrated with other aspects of the Web, such as social media. Here’s where WordPress plugins, such as SumoMe, come in handy. Dubbed as one of the best WordPress plugins for 2019, this nifty tool lets bloggers show pop-ups to grow their email list, customize contact forms, highlight blog post excerpts for quick and easy sharing on social media sites, as well as show where visitors are clicking on their heat map. Make your life – and that of your readers’ – easier by checking out SumoMe today. While emotions play a vital role in acquiring audiences to your blog posts, including relevant data and/or research results in your work will elevate it further. Yes, some folks will argue that they hate arithmetic and problem-solving, but humans in general have always been sensitive to numerical patterns. So if you want to establish yourself as an authority on certain subjects, or to give your blog post ideas more depth, add well-researched data references to keep readers on their toes. 8. Have an Attention Box. 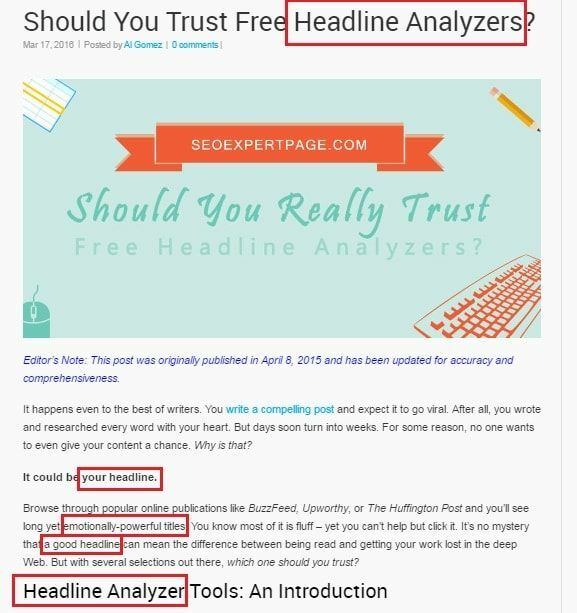 Even tiny things such as bold fonts or typos can be easily detected by your readers. Whether you want to capture more audiences or increase email subscribers, make sure to add details that count. 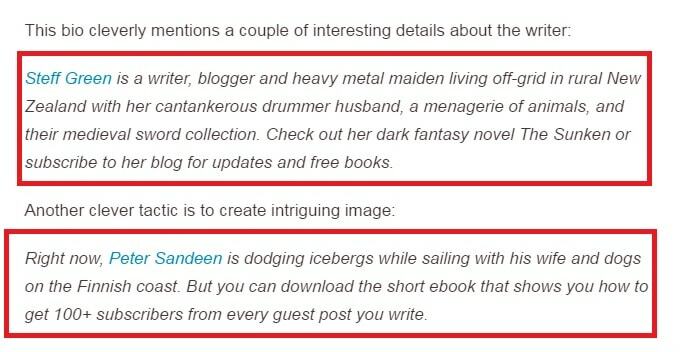 One such feature is the little yellow attention box you see experts like Brian Dean use for their blog posts. 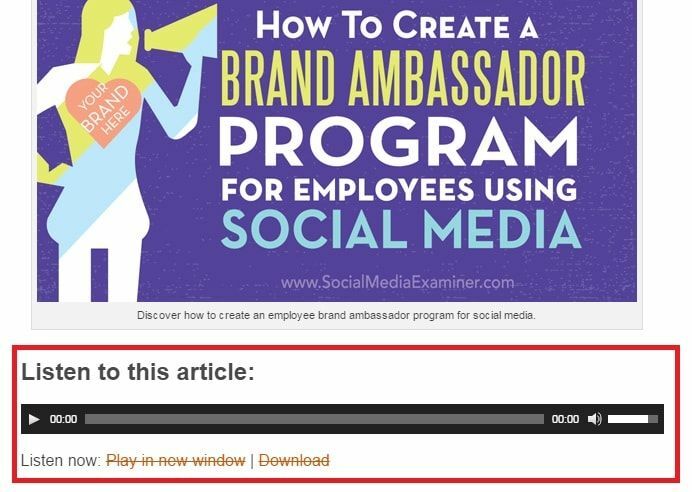 In one blog entry, Brian Dean shares how this yellow attention box has given him 65 percent more email subscribers than other tactics he has used. First is the power of color: yellow has a natural psychological pull on people that tell them to sit up and pay attention. Second, Dean took advantage of “power words” to make his offer within those boxes irresistible (i.e. exclusive, improve, bonus). 9. Strategize your CTA placement. Again: your blog shouldn’t just make readers happy – it should also make you money. That’s why it’s crucial to understand WHERE your calls to action should be placed within your blog for maximum clicks. Don’t simply subscribe to the notion of “above the fold”. his strategy may have worked with earlier, simpler websites, but it might NOT be best for you. Don’t be afraid of doing A/B testing to figure out the best placements for your CTA. When it comes to conversion, avoid using your gut-feel or following generic standards: use your own rules! 10. Incorporate keywords and keyword variations. It’s true that keyword stuffing and focusing solely on search terms has been long outdated. However, this doesn’t mean you should do without them entirely. The right balance between keywords and quality is the best way to go for ensuring that your blog posts are both user- and search engine-friendly. This begins with good keyword research. Use trusted tools such as Semrush or Google’s Keyword Planner to gather the best ideas. Then, pepper them on strategic places within your content. 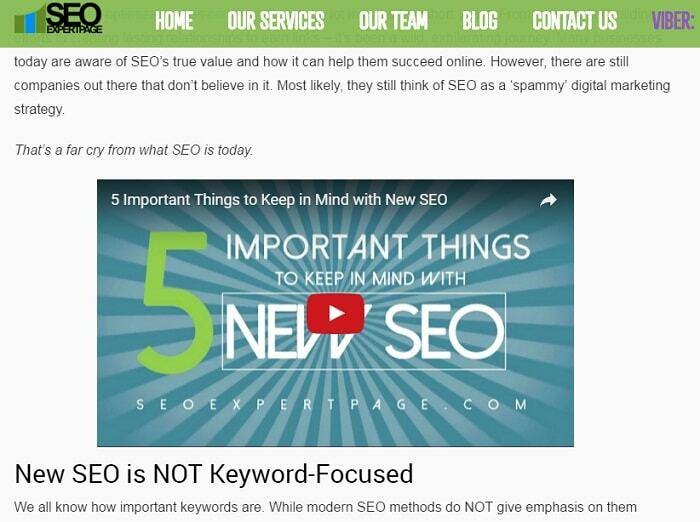 In general, your main keyword should be in your blog post title and sub-headings. Next, sprinkle longer keyword variations throughout your work. Long-form content is no doubt effective in many ways. It gives you several chances to insert valuable keywords within your blog post; it showcases your expertise on the subject, plus it’s great for social shares. But not every reader has the time to even scan your work. Sometimes, they don’t want to download your free goodies either. How do you deal with these types of audiences? Show you care about their time by summarizing your article into a TL;DR slideshow. TL;DR, which stands for “too long, didn’t read” has been on the Web for quite a while, but is becoming widely-used by authors to appropriately introduce long compositions. 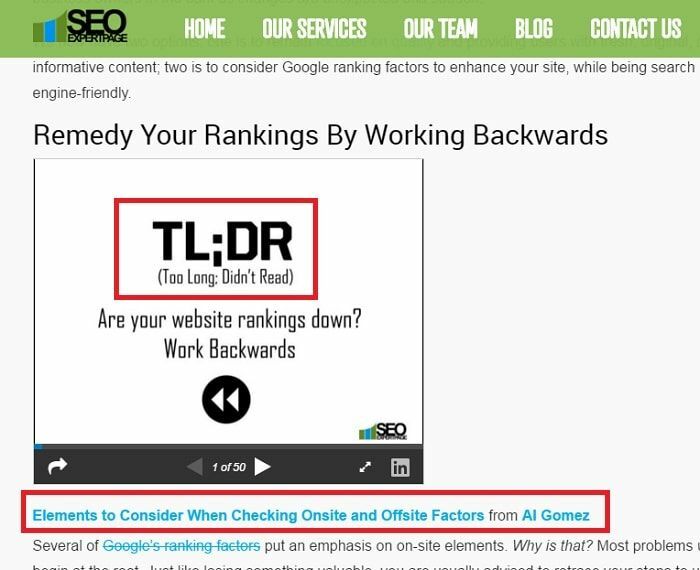 Slideshows make for great TL;DR because readers can view content at their own pace. Plus, you can still insert relevant links (i.e. to your blog post and/or social media profiles). Services like Slideshare, is a good platform to begin crafting your slideshows today. 12. Improve your author bio. Think that something as small as an author bio can’t supercharge your blog posts? Think again. Writer and founder of Ride the Pen, Alex Limberg, believe otherwise. In an article for Write to Done, he shares simple tricks to improve your author bio AND thereby gain more readers. By tweaking your bio to contain three key aspects (who you are, what you do, why should they read your blog) in only a few sentences, you make it easy for both people and search engines to find you. As you don’t want to bore anyone with irrelevant information, make each word count. A vital tip: NEVER use everything at once! Pick two or three tricks that would work well with your blog post, based on your chosen topic and target audience. For instance, if you wrote a piece on “101 ways to stay fit during weekdays”, you can supercharge it by incorporating a FREE downloadable guide in an attention box along with a short video summary. Coupled with an optimized bio and valuable keywords, your blog posts are sure to become a hit! 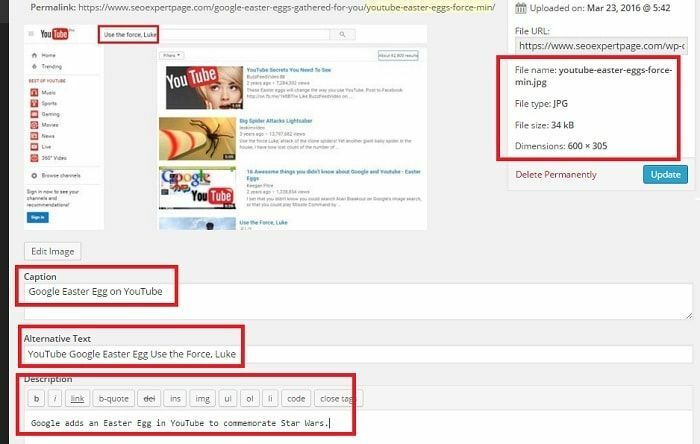 Liked these blog post hacks? Share it with your blogger friends & they would thank you later! You can also submit a guest post here at ShoutMeLoud like me, read the submission guidelines. I love podcast sharing sites because I ranked my some keyword’s using podcast submission site’s.After reading your article I’m more confident about it. You have shared some awesome blog post hacks here. I must say every listed tip is new to me and I’ll try them or experiment on of all them now. Nice article. Please also suggest if there is any other equally good service in TL;DR category other then Slideshare. Looking forward to read more posts from your side! Very Informational Article. I find reading this article more tips about article posting. It is extremely helpful and interesting and very much looking forward to reading more of your work.. I really like and appreciate News article. Very well written keep up the good work. Awesome tips, i will surely implement on it. i m new bee in the blogging world, this will surely help me to do good with my blog. As a startup blogger, this post will help me to grow, i’m going to follow all the step mentioned above. Most important point are Have an Attention Box and Strategize your CTA placement. I will be really focused on it as my blog mostly looks to generate leads. This is really nice post and very useful post for future years. As you said, Videos will dominate a big portion on bloggers from now. Thanks for sharing. Wonderful suggestions. I completely agree with your observations about how strategic placement of CTAs and Attention boxes can work as game changers for any blogger. Thanks for the inputs, will look forward to your posts out here. This post is really amazing. I have made experiments with my author bio long ago and you know what I got double of results when I improved my Author bio with my own pic. Readers attract to your blog when they know a real person is on the blog. They dont love dummy blogs much. Thanks Algomez for sharing this amazing piece. Nice post. It will help bloggers a lot. Indeed, tips as regards CTA placement, Keywords and plug-ins are very useful. Hello… I have been seeing ShoutMeLoud sites commonly and now.. it is my pleasure to express thanks of sharing great tips. It will help bloggers a great deal. Undoubtedly, tips as respects CTA arrangement, Keywords and modules are extremely helpful. Thanks a lot for sharing these really cool Post Hacks, will definitely give these a shot. Its really an interesting post indeed! I’m working on the video aspects now, it just takes a little more effort compared to the traditional form of just writing a blog post. Though I think youtube is currently the second most visited site on the internet right now so having content on that platform makes sense.